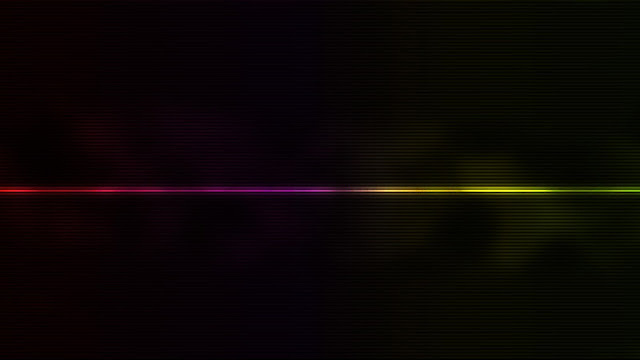 In this tutorial I will show you how to make a kind of lightbeam that has the style of the xperia cellphones. I came across this tutorial once when I was browsing the net but I find it was explained rather difficult, so here we go! Open photoshop (I used cs6 but this will work with older versions). Create a new document with any size you prefer. I used a standard 1920 x 1200. Fill up your document with a dark grey color (I prefer #121111). Create a new layer (Layer -> New layer) and call it "Rectangle". Now go to Layer -> Smart Objects -> Convert to smart object. Now we're going to apply a blur. Go to FIlter -> Blur -> Gaussian blur and use 10 px as radius. 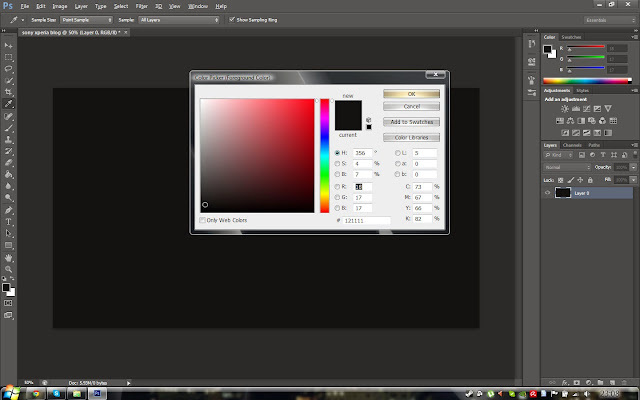 Create a new layer and call it "Light" take a soft brush and set the hardness to 0 (color = white). Now start painting some spots across your previously created beam. 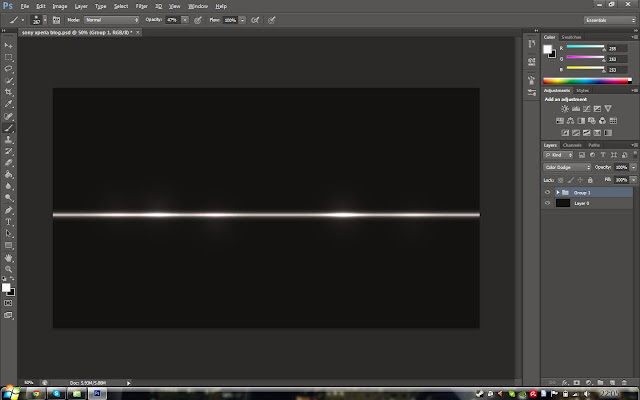 Do it randomly and play around with the opacity setting a little. 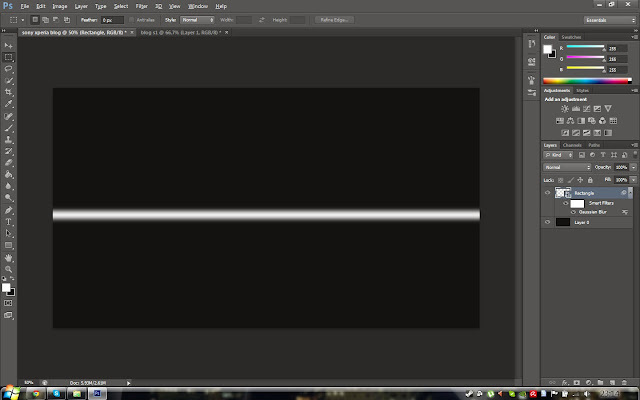 After this select the rectangle layer and the light layer and go to Layer -> Group layers. This will create a folder with the two layers within. 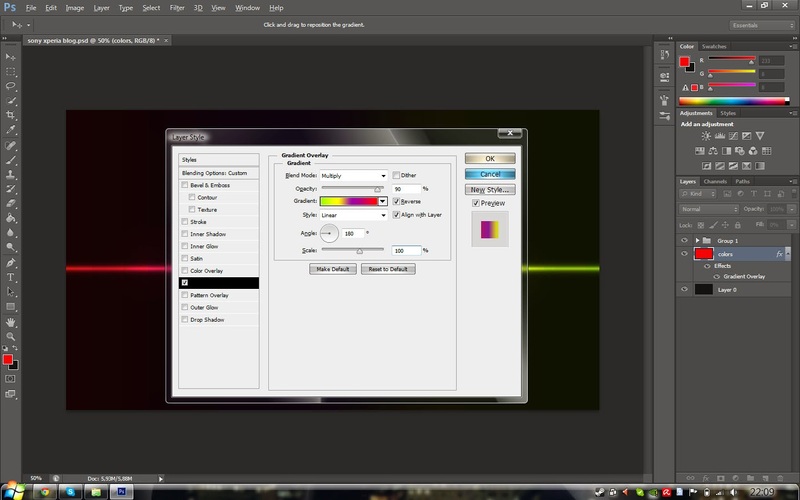 Set the blending mode of this folder to "Color dodge". Step 4: fill with colors! 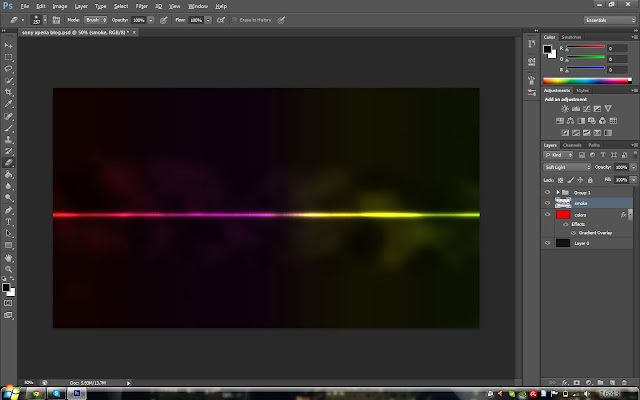 Add a new layer on top of the "Colors" layer and name it "Smoke". Set your for and background colors to black and white (press D). Goto Filter -> Render -> Clouds and set the radius to 20. Now set the blending mode of that layer to soft light. Go wildly with your imagination and finish your project.. I only used some pattern to create a nice effect but you can do many things. This tutorial is inspired by: http://abduzeedo.com I'm not the rightful owner of this tutorial.